Anyone who has acquired a puppy is likely to have heard that they must socialize extensively during the first year of life. “Bring your puppy with you on outings,” owners are told, “to the park, on city streets, through neighborhoods. Introduce your puppy to cars and bikes and kids and cats and skateboards and wheelchairs and cows and…” Whew! Sounds like these first-year pups have an awfully busy schedule ahead of them! 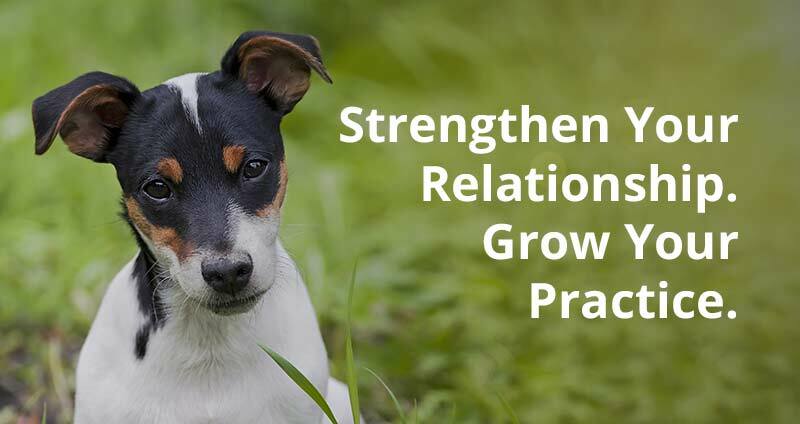 While it is absolutely important for puppies to be exposed to a variety of stimuli while they are young, proper socialization involves more than simply putting puppies into situations where they encounter these things. Owners should utilize a few strategies to ensure that socialization accomplishes its goals, which are to teach a developing dog to be calm, relaxed, and well-behaved in public situations and to reduce the likelihood of fearful or aggressive responses to common stimuli that the dog may encounter throughout its life. The first key strategy is to watch and know your own dog. You must be attuned to how your puppy is responding to the social situations into which you are placing him or her. By disposition or due to prior learning experiences, some pups are much more timid, fearful, or shy than others. We often imagine puppies as we see them in dog food commercials: tongue-flapping, hip-wiggling furballs falling all over themselves to say hello to every person, dog, and butterfly on their horizon. Indeed, many puppies are exactly like this. Others, however, hide behind their owner’s leg when they see a person, freeze or urinate submissively when they are greeted by a dog, and would nearly jump out of their own skin should a butterfly come along! To arrange socialization experiences that proceed at the best pace for your puppy as described next, you must first be observant and sensitive to his or her disposition and responses from the outset. You should set up social experiences in graded steps that reflect your puppy’s personality and behavior. If you notice that your puppy seems timid or fearful in new situations, you should move more slowly and deliberately in terms of the intensity of exposure than you would if your puppy is always jolly and exuberant. Pay attention to your puppy’s approach versus retreat behavior and other body language indicators. When he sees a new person, for example, does your pup pull mightily on the leash, tail wagging wide enough that it shakes his whole rear end, perhaps with some excited whimpering and attempts to jump up as the person approaches? Or does she lower her body a bit, stiffening or tucking her tail, looking away from the other person or retreating behind you as the person approaches? If yours is the full-speed-ahead pup, you should get those treats out to practice the Sit/Stay you might be learning in puppy class for appropriate greetings. Or you might work on teaching your puppy to Sit in a fenced area so that a Sit can be rewarded by you taking off the leash and letting the pup run merrily to greet a friend who is there to help you train. If your puppy is of the shyer sort, you should instead work at a distance from new people at first, playing ball with her or working on her basic obedience exercises (always with positive reinforcement – the use of punishment in the form of electronic collar or chain collar corrections during puppy training is not recommended by certified animal behaviorists or veterinary behaviorists) without requiring social introductions just yet. You might also have a friend sit down and look away casually, so that your shyer puppy can be encouraged by the stranger’s less threatening position and greeting style. If you have noticed that your pup is on the shyer side, you also should begin to associate the appearance and approach of people (or whatever makes your dog shy) with the delivery of your dog’s most valued items or activities. If your puppy loves treats, deliver a treat with a happy call of your dog’s name each time you see a person approaching. If your dog loves her tennis ball, bring it with you on outings so that she learns the ball is available when strangers are milling about. If she prefers just getting belly rubs and ear scratches, sit down with her beside the walking trail and give a luxurious 2-minute massage each time a jogger goes by. Your goal here is to teach her to be happy and excited about the thing that now makes her nervous because that thing predicts wonderful stuff for her. If you instead push this pup too far with lots of mere exposure (without systematic use of positive reinforcement and graded exposure), you risk increasing her fear levels over time. It is important to remember that any puppy can develop fearful responding to new situations if those situations are unpredictable or overly frightening to begin with. Dogs exposed to generally stressful or overwhelming situations before they are ready, sometimes with owners’ best intentions at socialization, develop increasing fear or aggressive responding over time because the level of exposure was too much and thus did not have a calming effect. I have heard many a tale of socialization gone wrong because well-intentioned owners took their puppies to socialize at an overcrowded market, an overbearing dog park, or an overstimulating playground. In other cases, the environment might be one the pup would respond well to with repeated exposure but the owner only introduces the dog to the situation once or twice and thus does not allow the calming effect to occur over time (in behavioral language, this process is called habituation). In sum, it’s essential to watch your dog, look for signs of relaxation and contained joy at every turn, and adjust your level of exposure in new situations to accommodate your pup. In so doing, you are well on your way to teaching him or her that the world is a blooming, bustling, beautiful place!